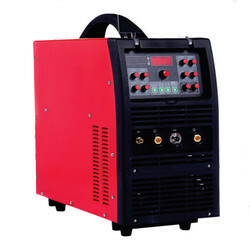 Providing you the best range of ac/dc digital pulse tig welding machine, ac / dc pulse tig welding machine, dc pulse tig / mma welding machine, tig welding machine 300-400, tig welding machine 200pd and dp and tig welding machine 200 with effective & timely delivery. 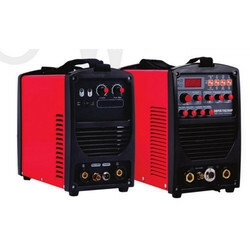 For D.C. Tig Welding: DC welding Rectifier sets are ideal for use on all weldable metals Stainless Steel (S.S.) Rectifiers are saturable reactor core / Thyristor Controlled type Supply 3 Phase, 440 AC, 50 Hz, full wave, Silicon rectifier bridged, Open Circuit Voltage (OCV) 80 Volts, step-less current control, Forced air cooled, Class 'F' Insulation. 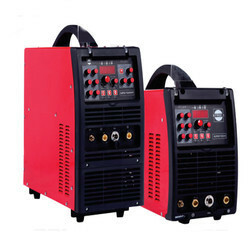 For AC TIG Welding : AC / DC combined welding Rectifiers with 80 to 100 OCV available in all range & are economically ideal for the job of S.S. & AI. 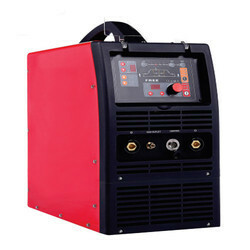 Separate Oil Cooled Arc Welding Machine are preferred for TIG Welding on Aluminium. It consists of Solenoid valve for starting Argon Gas supply. Pre and Post flow timer for cooling of Tungsten electrode after welding. Unit is remotely controllable from foot paddle switch. It consists of well balanced LRC circuit, spark gap unit & an air core transformer to prevent mains frequency from entering into the oscillating circuit. Water & Gas-cooled Torches from 200 Amps to 600 Amps capacity is supplied TM with study brass structure with Water / Gas-cooled welding cable. It is equipped with its accessories such as Tungsten electrode, ceramic nozzle, long cap, short cap etc. 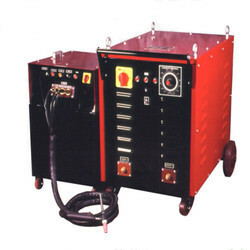 Argon gas is precisely calibrated to discharge gas. 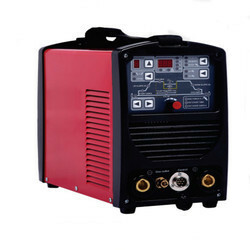 Water circulating unit: Provided to cool TIG Torch. 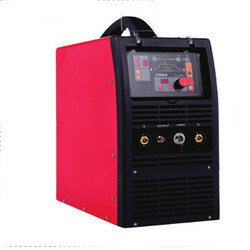 Looking for TIG GTAW Welding Machines ?